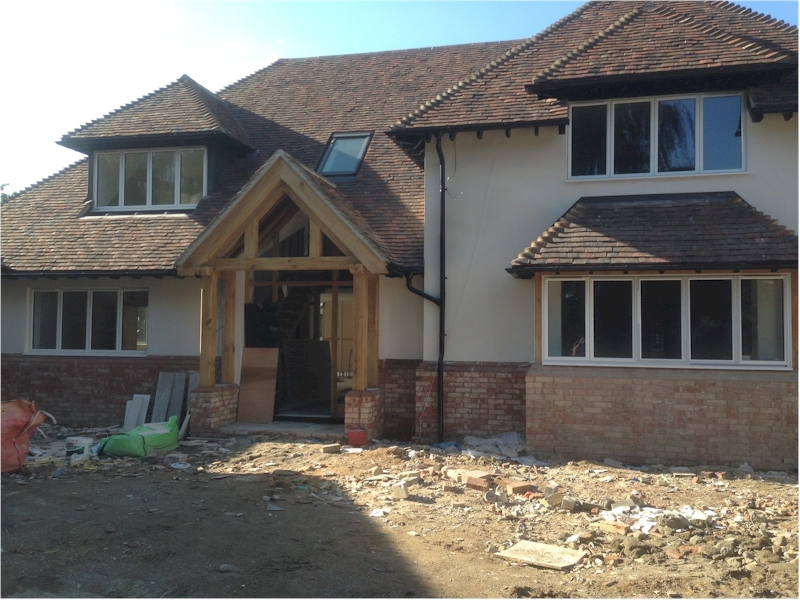 Holland Plastering is a leading company in external render systems for both old and new constructions. 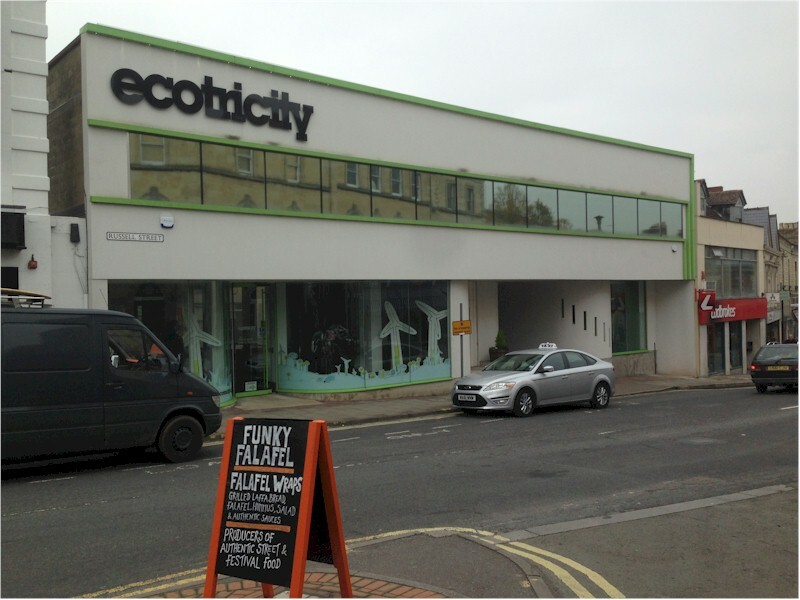 We operate in the south west of England. Our team of qualified craftsmen operate in a highly reliable, professional manner and carry all the necessary equipment to be self sufficient. 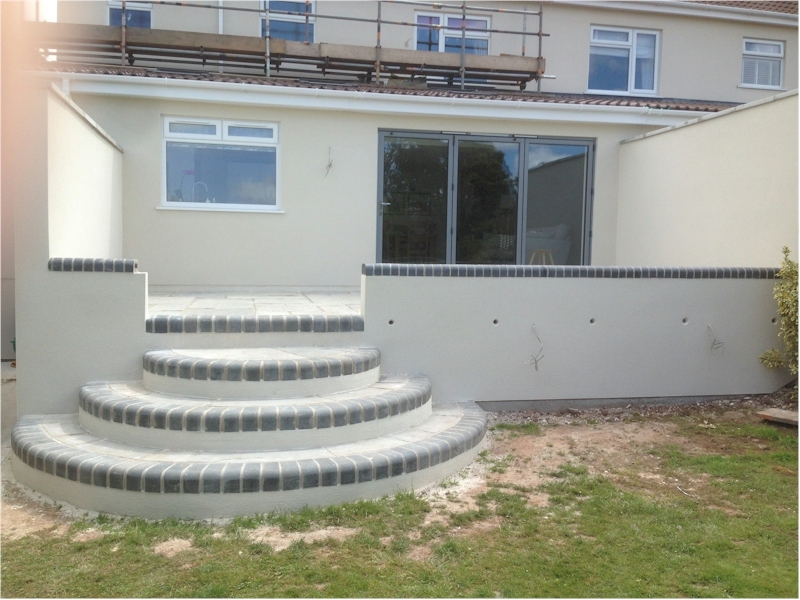 As approved applicators for Parex, K-Rend, Weber and Marmorit we offer a quality product, professionally applied for a long lasting finish. 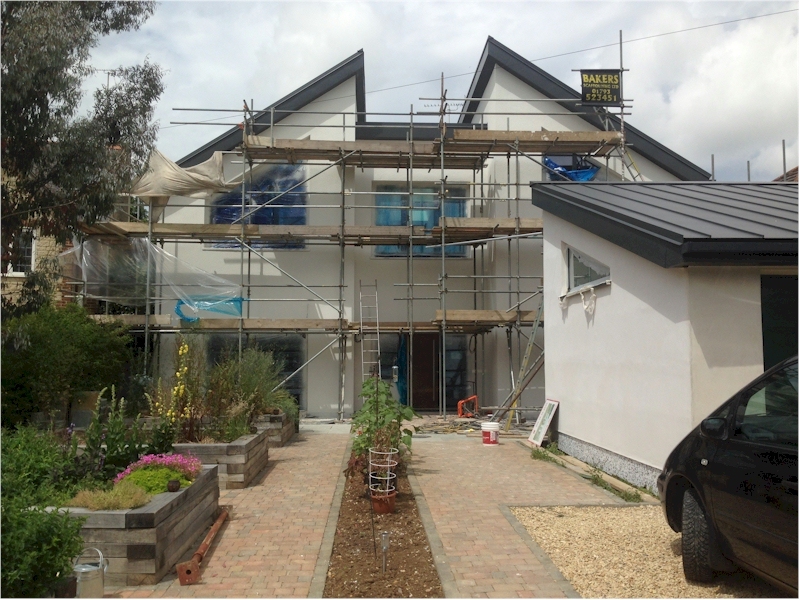 Rendering – Through colour and insulated, spray applied render system. 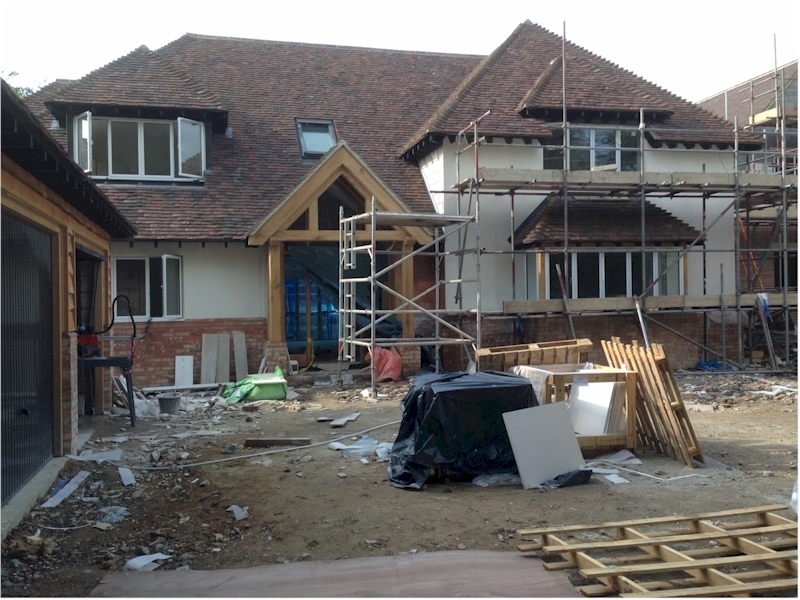 Plastering & Skimming – Walls and ceilings. For more information, please contact us on 01453 840005 / 07973685379. We are more than happy to provide advice and our professional opinion if required. 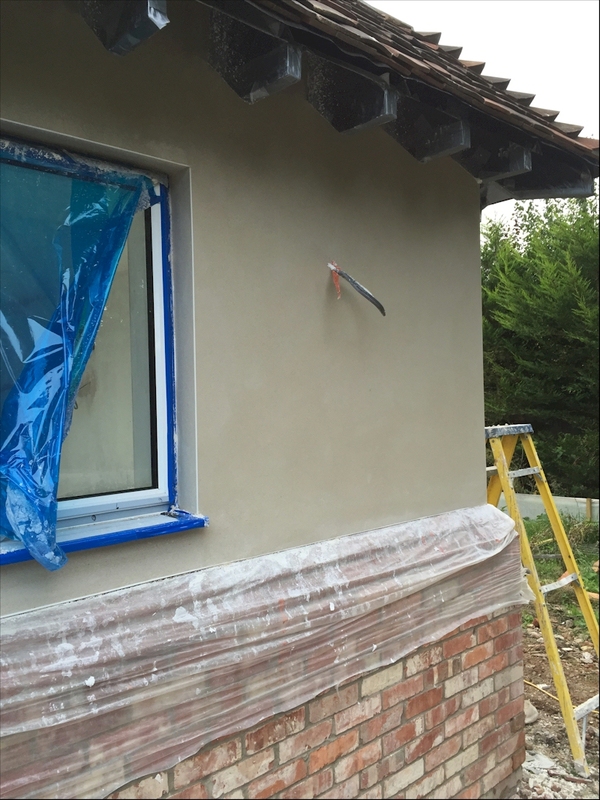 Demonstration of Spray applied render. Demonstration of power float finish. Example of Power float finish. 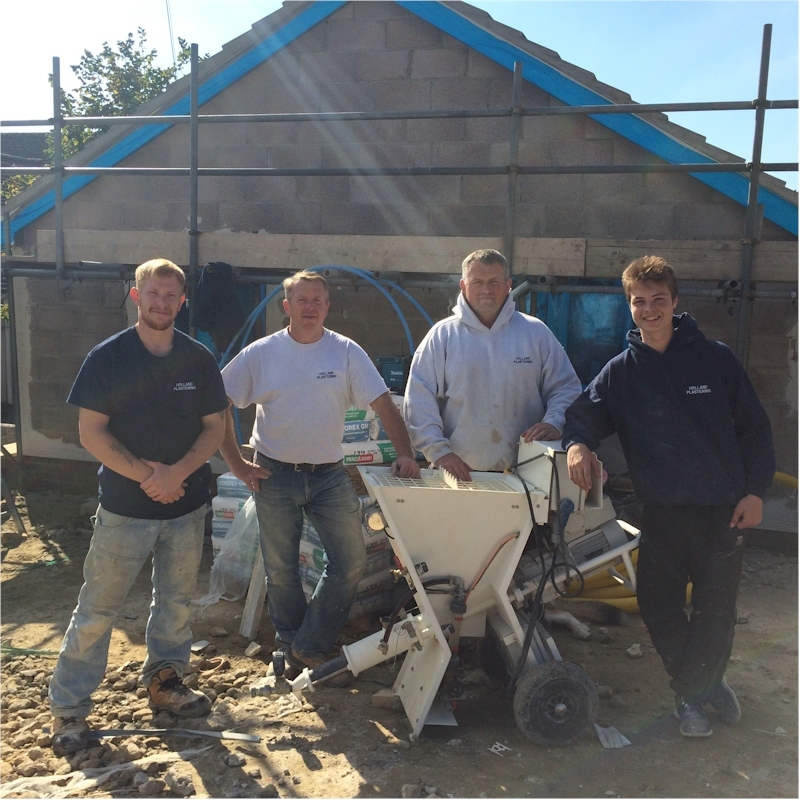 Meet the team - Martin, Paul, Rob and Dan. 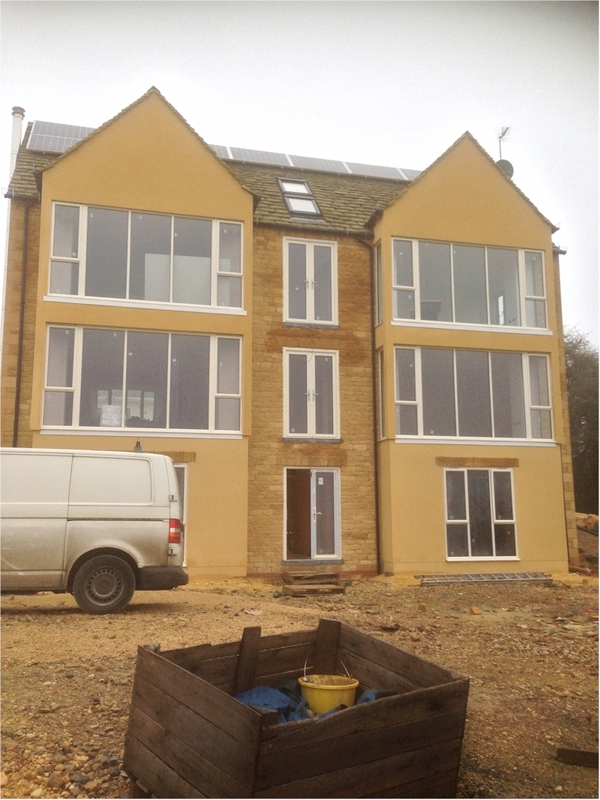 Executive house with power float finish. Power float finish photo 2. 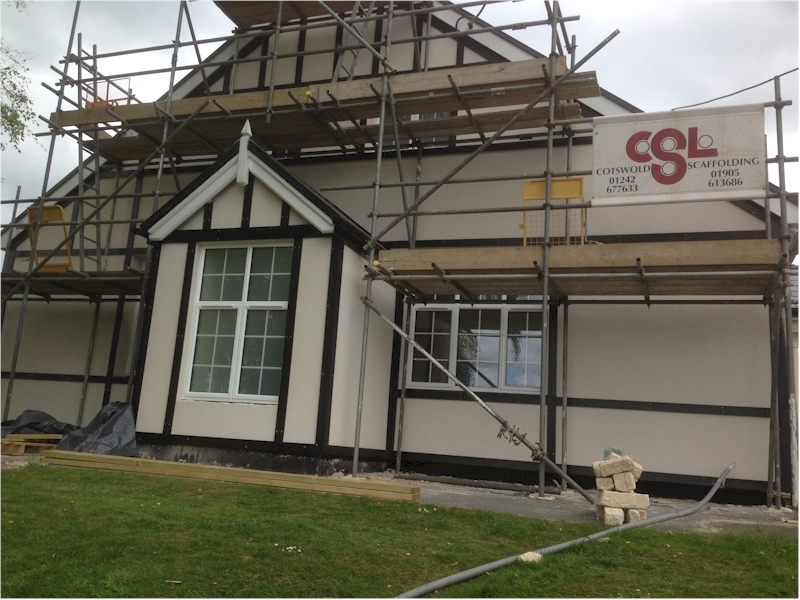 Example shows Acrylic thin coat render system.